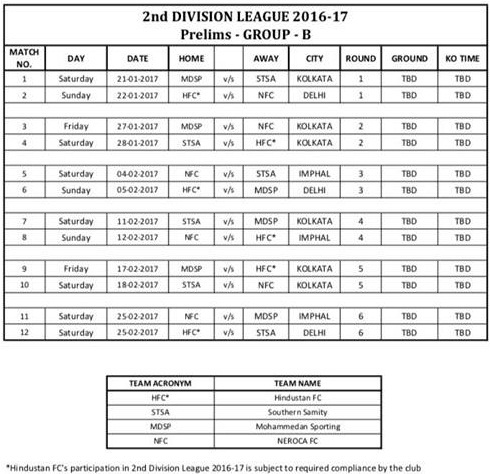 Provisional fixtures of I-League 2nd Division is out and according to it 12 teams will be participating in it. The 12 teams will be divided in three groups of four team each. 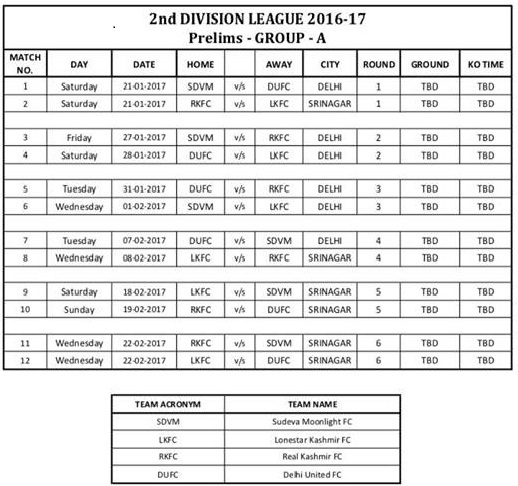 The fixtures were uploaded on Delhi United FC's Official Facebook Page. 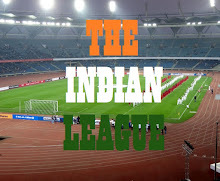 For the first time, two teams from Kashmir and Delhi will participate in I-League 2. Lonestar Kashmir FC, who were the runner up in 2014/15 edition will be joined by Real Kashmir FC. Delhi United FC and Southern Samity will make their come back to I-League 2. 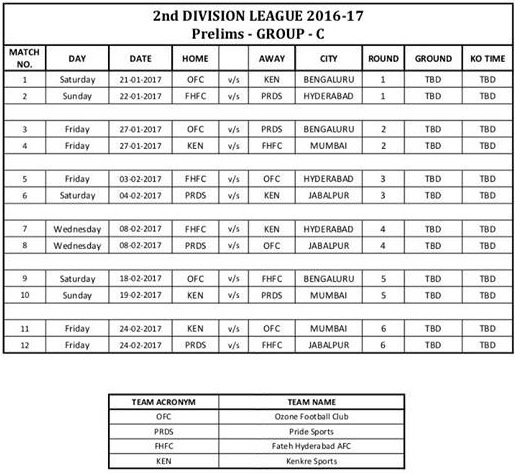 Ozone FC Bengaluru, Sudeva Moonlight FC and Pride Sports FC will be making their debut in I-League 2. The League will follow double Round Robin Format with home and away games. Group A will comprise of teams from Delhi and North India. Delhi United FC and Sudeva Moonlight FC from Delhi and Lonestar Kashmir FC and Real Kashmir FC from Jammu & Kashmir will be the participating teams of the group. Group B will comprise of teams from Eastern and North Eastern India and also include Hindustan FC, another Delhi based club. Though their participation is subjected to required compliance by the club. Two teams from Koklata namely Mohammedan SC and Southern Samity will be part of the group. Imphal's Neroca FC will be the fourth team. Fateh Hyderabad AFC, Ozone FC Bengaluru, Pride Sports FC Jabalpur and Kenkre FC from Mumbai will be participating in group C.
Though its not final about the no. of teams qualifying for the National Round, it is expected that top two teams from each group will play in the National Finals. Interestingly, FC Bardez Goa, who were keen to play in I-League and also submitted a bid for direct entry are not part of the league in the provisional list.